A huge thank you to the following authors whose books are sponsoring the 2007 Christmas Story Contest. Welcome to the slightly off–kilter world of Claire Bowen and family. A world someone once called “gently insane.” Or perhaps he said the Bowen world was ordinary and the people were insane. In any case, he’s no longer invited to dinner. But draw your own conclusions. From adventures with Scouting and Girls Camp, to self–service tooth fairies, to reflections on becoming a grandmother, Claire’s unique sense of humor will leave you laughing. And whatever else this book does, it makes you feel better about raising your own kids. 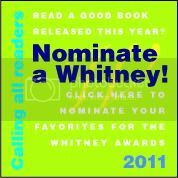 It’s humor with a literary sense and humor with common sense. It’s humor with teenagers! What more could you ask? You’re likely to recognize your own family, because you know they’re nuts, too; and you’re sure to be comforted, because they’re not as nutty as some we could name. You’ll come away feeling you’ve made new, albeit somewhat unstable, friends. Claire Bowen is a freelance writer in North Georgia and a mother of five. 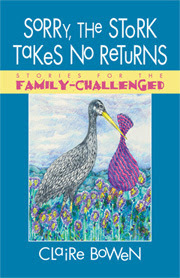 Her work has appeared in national publications, and her award-winning newspaper columns inspired this first in a series of "Family-Challenged" books. Carl Owen returns from the Civil War to find the family farm destroyed, his favorite brother dead, food scarce, and his father determined to leave the Shenandoah Valley to build a cattle empire in Colorado Territory. Crossing the continent, Carl falls in love with his brother's fiancé while set to wed another girl. But he might lose everything if the murderous outlaw, Berto Acosta, has his way. Carl battles a band of outlaws, a prairie fire, blizzards, a trackless waterless desert, and his own brother—all for the hand of feisty Ellen Bates. 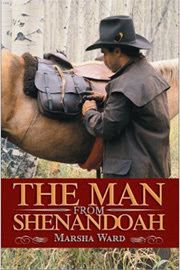 Carl Owen doesn't intend to lose anything: not his land, not his cattle, and certainly not his girl ever again! Marsha Ward was born in the sleepy little town of Phoenix, Arizona, and grew up with chickens, citrus trees, and lots of room to roam. An avowed "tomboy," Marsha began telling stories at a very early age, regaling her neighborhood chums with her tales over homemade sugar cookies. Visits to her cousins on their ranch and listening to her father's stories of homesteading in Old Mexico and in the Tucson area reinforced Marsha's love of 19th Century Western history. After fifty+ years in the city, Marsha now makes her home in a tiny hamlet under Central Arizona's magnificent Mogollon Rim. When she is not writing, she loves to spoil her grandchildren, travel, give talks, meet readers, and sign books. 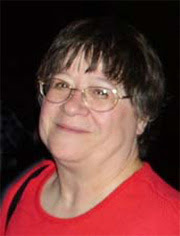 You can find Marsha at http://marshaward.blogspot.com. Born and bred deep in Mormon Utah, thirty-something Eliza Spainhower has carved out an independent life for herself in Boston. While still believing in the faith of her childhood, she has recently been disfellowshipped from the LDS Church. Trying to repent, she connects with local native Eric Abercrombie on the subway, and soon she's prodding him in a race against hormones as the couple navigates Mormon baptism-and-wedding hurdles. Further complicating matters are Eric's adopted daughter Manda, his bossy ex-wife Helen, and Manda's Wiccan birth mother Kindra, all three of whom live together. As Eliza tries to establish her place in Eric's improbable clan, she's forced to reckon with her Mormon identity in unsettling new ways. Her journey of spiritual and physical passion is fraught with Mormon-style guilt, otherworldly visions, ministrations of evil spirits, and culture clashes between Mormonism and Wiccanism, all shot through with simmering intimations of polygamy that eventually reach a crisis point. Christopher Kimball Bigelow is the great-great-great-grandson of a Mormon apostle who had more than 40 wives. 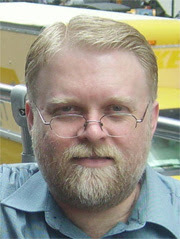 He served an LDS mission in Melbourne, Australia, and worked as an editor at the LDS Church's official Ensign magazine. A graduate of Emerson College and Brigham Young University, Bigelow cofounded and edited the Mormon literary magazine Irreantum and the satirical Mormon newspaper The Sugar Beet, and he's working on a memoir and a novel. A Hodgkin's disease survivor and the oldest of ten siblings, he lives with his wife and four children in Provo, Utah. You can reach him at chrisbigelow@gmail.com. Have you wondered what happens when imaginative siblings start cooking imaginary food? 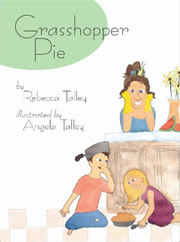 Watch and see as the mother-daughter team of Rebecca and Angela Talley tell the adventures of Logan and Madolyn — two enterprising young children who whip up gastronomical delights for their mother, and then top them off with their pièce de rèsistance: Grasshopper Pie! Rebecca Talley grew up in Santa Barbara, California and now lives on a ranch in Colorado with her amazing husband, 8 of her 10 creative children, horses, goats, and a llama named Tina. 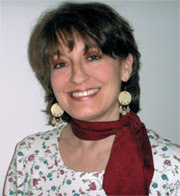 She is the author of a children's picture book, Grasshopper Pie. Her stories have been published in Story Friends, Our Little Friend, The Friend, and Stories for Children. 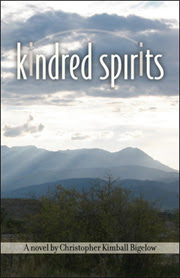 Cedar Fort will release her YA novel, Heaven Scent, in spring 2008. Besides writing, Rebecca enjoys eating chocolate by the pound, dancing to disco music while she cleans all the messes that seem to multiply and replenish her house, and contemplating all the craft projects that still need to be completed. 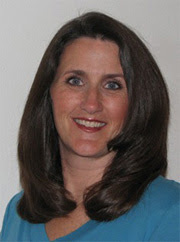 You can find Rebecca at www.rebeccatalley.com.